Cape Town — Sudanese President Omar Al Bashir has delegated his powers and authority as head of the ruling National Congress Party to its deputy head, Ahmed Mohamed Haroun, until the party's next general conference, Reuters reports. The party made the announcement in a statement on Friday. Haroun had been elected by the party as its deputy head this week. 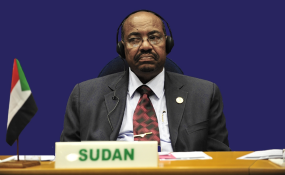 Reuters says that Haroun is wanted by the International Criminal Court for alleged war crimes committed in Darfur. The move comes less than a week after Bashir declared a state of emergency, following weeks of protests across Sudan against fuel and cash shortages. The president reportedly also sacked his vice-president, adding those duties to the current defence minister's portfolio. He also dissolved elected regional governments, replacing them with "18 new governors from the military and security apparatus". Bashir has been in power for nearly 30 years and is wanted by the International Criminal Court for crimes against humanity, war crimes and genocide committed in the Darfur region of the country.